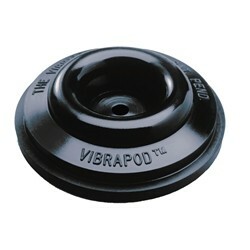 Vibrapods are the most affordable vibration foot around. These very effective dampers have been highly recommended by The Absolute Sound and Stereophile, among other publications. 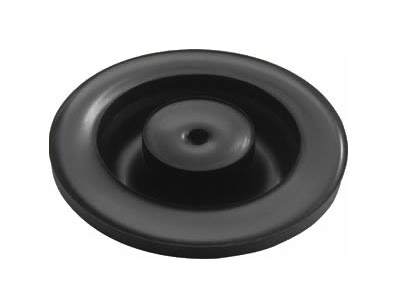 What appears to be a simple rubber foot is actually a very sophisticated design specifically engineered to efficiently dissipate vibrational energy.Vibrapods act like mini shock-absorbers, isolating components from acoustic and mechanical motion in both the horizontal and vertical planes. 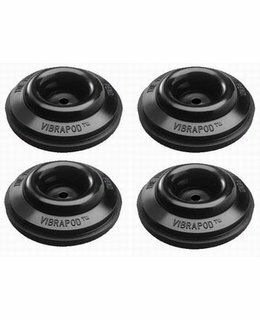 Use Vibrapods under any component for a huge jump in focus, much better dynamic range and a smoother, richer overall tonal balance. 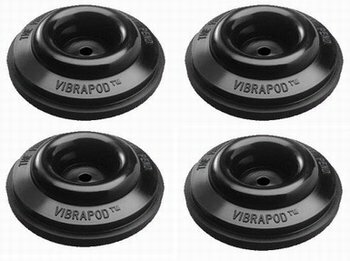 Vibrapods are available in 5 models based on weight capacity, supporting anywhere from 0,9 to 12 kg each. From lightweight electronics to heavy speakers, Vibrapods improve dynamics, imaging and soundstaging. Vibrapods are the Best-Selling Budget Tweak! When ordering, you can choose model 1 to 5, depending on your application.